Kira was born as a healthy child, she gained weight and developed as all ordinary kids. 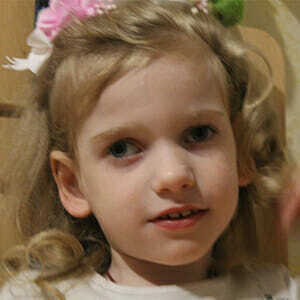 However doctors have made the disappointing diagnosis: cerebral palsy. Parents decided to canalize one’s energies to their daughter’s rehabilitation. Now Kira is more attentive, she understands the speech of other people, can sometimes fulfill not difficult instructions. The girl have also force in handles, she can hold toys and play with pleasure. ” Every day we do physical exercises, visit the correctional center, specialists on mental defects and physical handicaps. All this is too expensive, and in our family works only the father ….” – Kira’s mother shares. The family isn’t able to collect such a large sum independently. Let’s help the girl to live a full life! “All this is too expensive, and in our family works only the father ….” – Kira’s mother shares.